Hi, I’m Vi Shen, mother of a JC 1 student, who has just joined Ace Your Econ’s Accelerated Learning Program for Economics. Why my daughter signed up for this program, she wasn’t doing well for the past 9 months in JC, she was struggling and her mid year results was “S”, that’s between 35 to 45 marks, so I wasted no time and encouraged my daughter to sign up for tuition for Econs. My daughter took the initiative and found Ace Your Econs and it was given a lot of high recommendations through the website that she read and we signed her up for the 10 Days Accelerated Program. It was very intensive and rigourous as she had to review the videos before the lessons, do multiple papers for practices and Jeffrey was a tremendous help. He was patient, kind enough to do the 10 days at quite a last minute request from us. I do not encourage parents to do that and would highly recommend you start early for your J1 students by April / May to study at a relax pace and I can’t find a better tutor than Jeffrey. 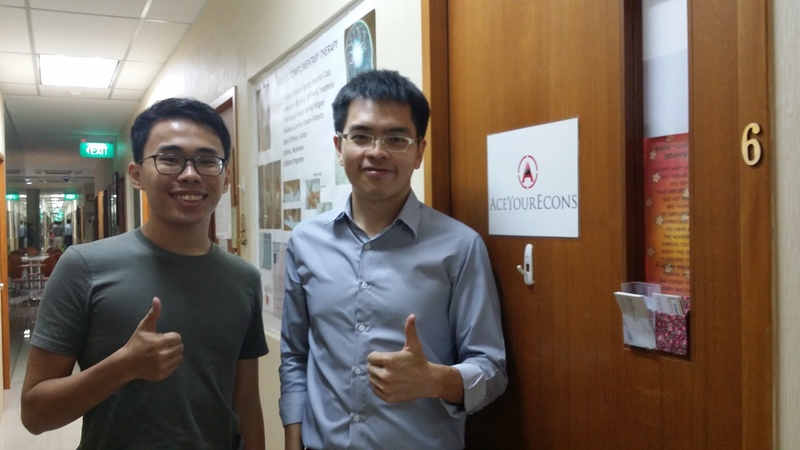 I would encourage all students who are majoring in Economics, H1 or H2 subjects to sign up early for Ace Your Econs’s Econs Program, which was well structured and you have a professional lecturer like Jeffrey who is patient and knowledgable. Initially, in JC 1, some of the challenges which I faced in Economics was that I didn’t know how to structure my answers properly and when I wrote my essays, they were really done without consciousness. So when I wrote, it will just be like. a normal econs essay and towards the end, I wouldn’t even know what I wrote in the essay. And even though I understood the concepts, I didn’t really know how to apply it to when I read the question. So when I read the question, I wouldn’t know what to input to get the marks. But though the programme and through Mr Jeffrey’s help, I managed to understand the correct structure of writing an econs essays and what are the relevant points to put into the essay to make it full and answer all the points and answer all aspects of the question. So in JC1. 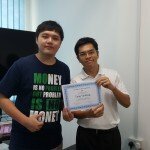 I underwent the accelerated programme for around 1 month and it helped me improve my grades from an ‘S’ grade to a ‘B’ grade! 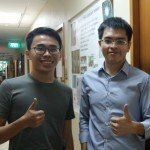 I’m a JC1 student and I found out about Ace Your Econs by the internet. One of the biggest problems that a JC1 would face when doing Economics is that they are unable to grasp the subject properly since it’s a relatively new subject that most people have never seen before. With the vast resources that Ace Your Econs can provide, using videos and also practices week in and week out, I’m able to overcome the difficulties I first faced, which was that I was unable to answer Economics questions properly. I was unable to understand how much is right, what is right and how to write it. Through this programme, I have made tremendous improvements in Economics and now I’m more confident when I’m writing essays and I hope that through the programme, I’ll be able to achieve better results. For me, when I initially started out, back in J1, I felt that that there was so much content being thrown at me. It was strewn all over the place. I didn’t really know what to utilize because the content was disorganized. Second thing was that I wasn’t sure what content was necessary for what question. I just wrote all that I knew into every essay that I wrote. As a result, I felt that there was always a lack of time. Third point is that lectures were too complex and lengthy and I really couldn’t grasp the knowledge substantially so I felt left behind in my competitive class, where everyone is vying for the top spot. Firstly, he taught me the ACE approach which I find quite useful because I tend to fall back on that whenever I’m lost about what to write in a sequence. Secondly, he gave us and is still giving us model answers to critique on, in terms of what is good about it, what are some areas for improvement. Such things reinforced my awareness for what pitfalls to avoid in different questions for different chapters. Third one is the mock tests and exams. I feel that it has boosted my confidence in Econs because there’s this imaginary training ground to utilize as much as possible before the real big A Level, the nasty A Levels. I’ve also completed countless quality essays averaging about 6-7 marks in part (a) questions and 8-11 marks in part (b) questions. Lastly, I’ve gone through several intensive weeks of essays and CSQs to solidify my economics concepts and analytical rigour. Yeah! I first heard of Jeffrey’s tutoring services because I was tutored for sciences by his elder brother, Johnny. 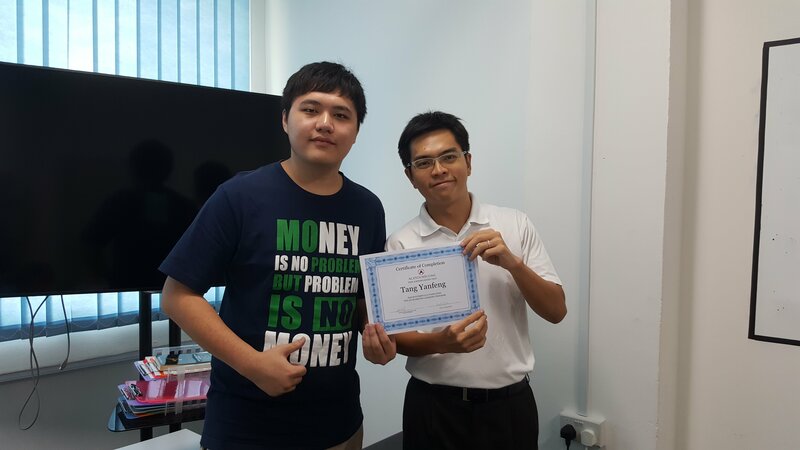 My decision to use the services of Jeffrey was not just for convenience as I can plan tuition sessions back to back for sciences and economics on the same day, but also the fact that Jeffrey possesses very strong economic knowledge and has reasonable teaching experience for JC level. Before I engaged tuition services for Economics, I was quite disinterested in the subject because I couldn’t keep up and understand what the tutors were teaching in my school, hence I was consistently floating around the S and U grades for most of my JC1 tests and exams. But after being tutored by Jeffrey, he managed to pull up my grades to at least a D during my Prelims, as well as increase my interest in the subject. All along, the reason that I was failing the subject in school was because I didn’t exactly know what I was learning and was too overwhelmed by the amount of content thrown at me. But Jeffrey broke the concepts down into more manageable bits and taught me the methods to smartly analyze what each question is asking for and the correct method to answer them. After months of intensive drilling essay after essay under time constraints, I was able to see gradual improvement in my grades to give me confidence in preparation for the A’ Levels and finally scored a B. I was much more confident in my knowledge and how to apply them. Lastly, what’s comforting about Jeffrey’s tutoring services is that he is always contactable when I have questions and he will always try his best to give a prompt reply. He also gives examples from real-life economical context and supplementary concepts out of the textbooks and that further reinforced my interest in the subject because at least those examples gave me an idea on how the theories I’ve learnt in school applies to the real-world. I feel it’s a good decision to be tutored by Jeffrey, and it’s a decision I never regretted. Due to Econs being a mere H1 subject for me, I made a rather foolish decision of focusing on my H2s instead of H1. In fact, I even studied for other subjects during my Econs lecture. This caused me to lag behind everyone and score ‘U’s since my JC1 Common test. Every test I took after the JC1 common test scored ‘U’s. As topics piled up, I soon realised in mid-JC2 that I was around 3 books and 400 pages behind the rest of my peers. As they say, desperate times call for desperate measures. After scoring an ‘S’ for my JC2 Block test 2, I saw Mr Jeffrey’s money backed guarantee Econs programme and decided to go for it. Once I enrolled into his class, the difference between Mr Jeffrey’s notes and the school notes was obvious. Mr Jeffrey’s notes were extremely summarised but all the necessary content was there. What the school used 3-4 months to teach could be done in just 45 minutes with Mr Jeffrey’s notes, as each topic is barely 30 slides long. I would say A levels is like a war. Ask any good general what is most important in a war and he will tell you, time, resources and a good strategy. What Mr Jeffrey provided me was not only strategy and resources but more importantly, least 2 months to save my dying H2s. That is why I would say it was worth it. Now, I’m not trying to say that my school’s Econs department is incompetent, it is just that Mr Jeffery’s notes can be studied and understood much easier and in a much shorter time. During my JC1 mid years, I got an S for my mid years. I wanted to do well for the subject and so I went to look for a tution teacher to coach me. I discovered Jeffrey’s Economics tution through my mum’s contacts. Through his unique ACE approach and his dedicated coaching, he managed to help me better understand the subject. Under Jeffrey’s guidance, I improved from a D during my prelim exams to an A for H2 Economics during my A level exams. I am really grateful for his help and I highly recommend him to anyone who wants to see real improvements in their economics grades!